Group revenue increased 12.3% to £1.6bn. However, increased investment, and depreciation charges following the new Customer Fulfilment Centre (CFC) at Erith, meant pre-tax losses grew to £44.4m. Following a fire at Ocado's automated warehouse at Andover, the group has said sales this year full will be lower than previously expected. The shares fell 8.3% on the news. Ocado is worth almost £7bn. If your first thought was 'that's a lot for a business that's little more than a fleet of delivery of vans scurrying around delivering upmarket groceries', you'd be right. But Ocado is much more than a niche online supermarket. Its cutting edge systems are capable of fulfilling tens of thousands of orders every day, largely without human intervention. And those whirring technology systems are a product themselves, with other retailers paying license fees to make use of them. Agreements with retailers in Canada, France, and a major deal in the US are a good start in Ocado's transformation from small British online retailer to international technology provider. But these initial projects will be being watched closely by potential future partners. Ocado's future relies on its ability to sign more partnerships, and a recent fire at one of its biggest warehouses won't look good. The full extent of the damage won't be known for a while, but Ocado could've done without burning a hole in its own shop window. This doesn't mean everything's gone up in smoke though. Ocado has impressed with its progress so far, and exceeded most expectations. Because it's growing so quickly, dividends are unlikely for a while. However, we think the group's right to allocate every penny to making the most of the opportunities in front of it. That also means earnings won't feel the benefit of all that spending for now either. 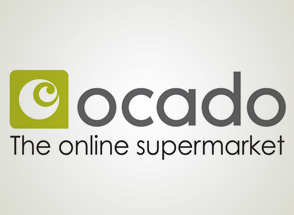 Overall, we think Ocado is an impressive business, with a genuinely revolutionary product. But with great promise comes great responsibility. A lofty share price and partnerships to sign means it has a lot to live up to. Retail revenues rose 12% to £1.5bn, as the average number of orders per week increased 12.1% to 296,000. The average value of each basket was slightly lower at £106.85 (2017: £107.28), as higher prices were offset by a decrease in basket size. The Solutions division earned revenues of cash fees from partners of £200.1m (2017: £146.1m). That includes deals with Morrisons, and more recent international contracts with Bon Preu, Casino, Sobeys, ICA and Kroger. However, EBITDA declined to a loss of £17.9m. But that's been driven by accounting changes, which means the timing of when Ocado can recognise revenue has been changed. Total capital expenditure was £213.8m, a 33.4% increase on last year. Increased spending on improving operations at newer CFCs were the main drivers for this. Next year, Ocado expects total capital expenditure to be £350m, as it will need to increase spending to deliver new CFCs and support new solutions partners. Investment in the new CFCs means the solutions division will continue to be loss making in the coming year. No new centres are due to open next financial year, but 23 are in the pipeline for the longer-term.